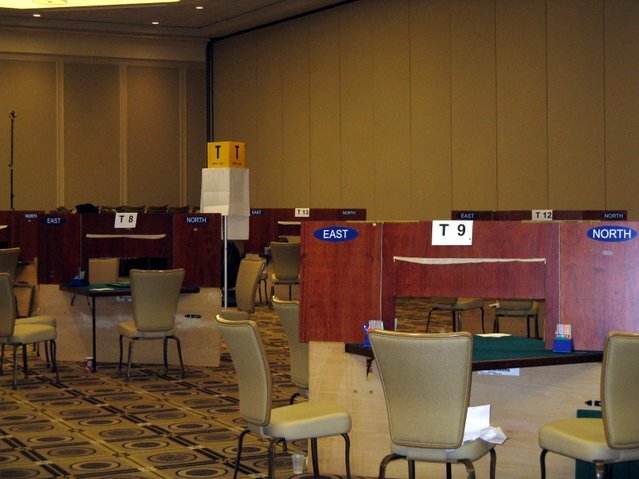 Bidding Screens In high-level duplicate bridge, screens (as shown) are used. These devices make for a better and "cleaner" game. You don't see your partner's face (yes, I know--you can spare me the snide remarks).